Microworx is at your service! A slow or malfunctioning computer can been a real nuisance. We understand how frustrating a broken machine can be. That's why we offer dependable computer repair services for both software and hardware issues. Whether you have one laptop or a desktop in every room, our friendly and knowledgeable staff are here to help! Call us to set up an appointment or stop in and see us! 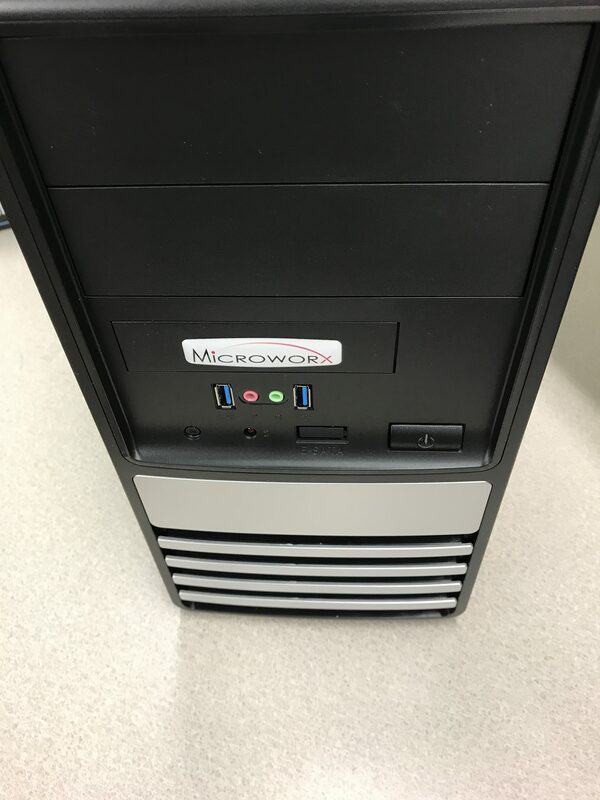 Microworx works on all popular brands of laptops and desktops; Hp, Dell, Mac, Lenovo, Acer, Asus-even ones you've built yourself! We repair broken plastics, displays, DC jacks, hinges, and more. Our technicians clean up viruses, remove malware and spyware, troubleshoot hardware and software issues, recover data, and install critical updates. We also install upgrades to your system such as more RAM or a new SSD to speed up your performance. Ask us about the options today! Need help setting up your printer? Microworx can help! We can help you connect to your printer with a wireless or a wired connection, whichever you need. Did your printer work just until you needed to print that thesis paper? We can fix that too. We have a variety of printers in stock or we may even be able to reconnect or reset you current printer to get you working again. Our onsite technicians have over 20 years experience in both home and business networks. Having network issues and your internet service provider says they can't help you? Microworx can! Call us to set up an onsite service call today! We can troubleshoot your issues and get you connected. With the whole world becoming more and more dependent on the internet, we are constantly asked to put our personal information online. We all know that information needs to be protected when we are online, but what about when it's just on your home computer? If you don't have a great Anti-Virus program, you should! Much of cyber crime happens when we let hackers onto our home computers unknowingly. They'll try everything, from "piggybacking" on a link to posing as a trusted company. You need a top-notch Anti-Virus program to keep you safe. If you have questions about what's available, we are happy to help you find the program that best suits your needs. If you like our work and wish we could help you with this too, you're in luck! Check out Microworx Managed Anti-Virus! And what about your email? Webmail too much of a hassle? Email software getting you down? Microworx is happy to help you configure your email in the way that works best for you! With multiple software options and even more creative solutions, we can help you love your email again. We at Microworx are here for you. Call us or stop in for your solution today!